Applications for the Wilberforce Academy 2019 are now open. This year’s Academy will run from Monday 9th to Saturday 14th September, and applications will close on 7th May. Over the past nine years, the Academy has sought to prepare students and young professionals for servant-hearted, Christ-centred leadership in public life. Please do prayerfully consider if you, or someone you know, may benefit from attending the week with other like-minded believers. You can find out more on the Wilberforce Academy website. Is the Wilberforce Academy for me? 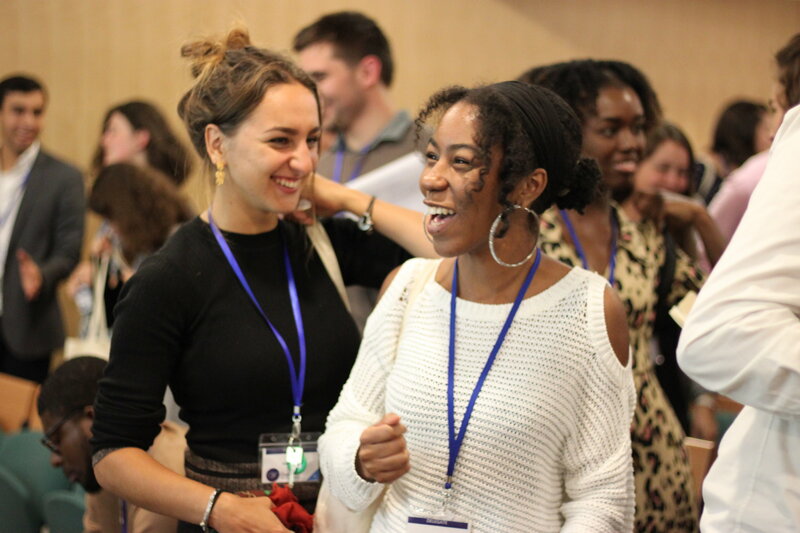 Whether you are a student or a young professional in law, politics, education, media, arts or business, the Wilberforce Academy aims to prepare young Christian leaders to stand and speak for Jesus in their particular area of influence. Delegates will be equipped with a robust biblical framework that guides their thinking, prayers and activity in addressing the issues facing our society. The Academy takes its name from the famous politician, philanthropist and campaigner, William Wilberforce. Wilberforce’s faith permeated not only his personal life, but his entire political career, and as a result, society was dramatically transformed. In the same way, the Wilberforce Academy is a network of young, like-minded Christians who provide a source of support, encouragement and accountability for one another. You may know someone in your Church or family that this is the perfect opportunity for – why not encourage them to apply today? The teaching focuses on the 'why' and 'what' of Christian involvement in public life, led by some of the world's leading thinkers in cultural apologetics, including the Rev. Dr Joe Boot (Director of the Wilberforce Academy), Professor Andrew Sandlin (President of the Center for Cultural Leadership), and Ade Omooba MBE (co-founder of Christian Concern). It is also intensely practical, with space for questions as well as focus groups to encourage active application of the teaching. The Academy ends with a celebratory banquet, as well as other social occasions throughout the week. Over the past nine years the Wilberforce Academy has equipped young people from all over the world to be ambassadors of Jesus Christ in public life. The vision behind the Academy is the development of a thriving community of like-minded professionals, willing to dedicate their lives to God's purposes. Delegates will join an existing network of Academy members who we hold regular events for to enable continued training and development. Andrea Williams, CEO of Christian Concern, says: "It was a great step of faith to pioneer the Wilberforce Academy and we give great thanks to God for the way in which he has established it. We pray that many others will be captured by this vision and join with us in seeking to raise a new generation of Christian leaders for public life." For further information, visit the Wilberforce Academy website.